Celestial Reflections: Will James Arthur Ray Get Off on a Technicality? Yesterday Judge Darrow heard arguments over a motion for a new trial for James Arthur Ray. He has taken the motion under advisement and as of this writing, his decision is still pending. Over the course of the trial, he also heard and denied numerous mistrial motions. Most of the grounds put forward by the defense in this motion are repetitions from those previously rejected mistrial arguments. Needless to say, CNN was not broadcasting the trial so I'm relying on accounts from reporters who were privy to court proceedings. I expect that the arguments hewed closely to their written motions, thus the defense's argument has been described as brief. (It also appears that Tom Kelly argued for the defense's motion. Had it been Luis Li, it would probably still be going on... and on... and on.) I've posted these previously but here again are pdfs of the relevant motions: the defense's motion for new trial, the State's reponse, and the defense's reply to the State. The State's response is thorough and lengthy and points to the previously addressed and settled nature of many of the defense's arguments. The defense continues to take the position that prosecutorial misconduct is self-evident and that it's the State's burden to prove that their errors were inadvertent and not prejudicial. I did find the conclusion to the defense's motion a little confusing. The state's persistent and pronounced misconduct demands a new trial. And the knowing and willful nature of the misconduct warrants sanctions and will bar re-prosecution. How can there be a new trial if re-prosecution is barred? Well... I'm not a lawyer. The State admits to making several errors during the trial but argues that they were inadvertent, did not rise to the level of misconduct, and did not impact the jury's verdict. County Attorney Sheila Polk took hours to explain what she understood were 31 allegations, adding to an already extensive record in a case that's bound for appeal. She acknowledged that prosecutors committed a trio of errors during the trial, but she said those errors were harmless because they were unintentional; the information was cumulative; they did not influence the jury; prejudice Ray or rise to the level of prosecutorial misconduct. "Clearly prosecutors are ministers of justice, clearly it is our obligation to make sure the defendant has a fair trial and clearly that is what we tried to do throughout the trial," Polk said. The other 28 allegations "are not even errors" and were unsupported by the record, Polk said. As I've said before, the only really new piece of business has to do with an improperly played audio clip. Defense attorney Tom Kelly, who kept his argument brief and deferred to Darrow's experience and judgment in deciding the motion, pointed out that the defense was kept constantly on edge due to the 17 supplemental disclosures the state filed during the trial itself. "You stated that this is not going to be a trial by surprise," he told Darrow, and reminded the judge of what he said after Polk played the unadmitted clip. "You cautioned the state by saying, 'If it's admitted at trial, it's admitted. If it's not admitted, then it's right into mistrial.'" I can offer little regarding the dispute over the recording as the aggravation phase was not broadcast but Mark Duncan reported a bit on the issue at the time. In her closing argument for the aggravation phase on Wednesday, Polk played an audio clip the defense maintains was never admitted into evidence. The clip features Ray speaking to seminar participants about their reasons for coming to Sedona for the event and suffering through sleeping in tents and sharing bathrooms after making a $10,000 investment, and the defense alleged at the time that they didn't believe it had ever been played at trial. That lack would make it inadmissible in the aggravation phase, but Darrow allowed Polk to continue on Wednesday after she insisted she had used it in her March 1 opening statement and had it properly admitted into evidence. On Thursday, though, after reviewing a video of Polk's opening, the defense resumed its objection and motion for mistrial. Darrow said he would allow Polk time to reply to the allegation, and would review the record himself, before ruling on the motion. Darrow appeared visibly displeased with the turn of events and agreed with defense attorney Tom Kelly that the allegation, if true, would have "serious implications," especially considering that jurors had the clip, among others, available on CD while they deliberated on Ray's guilt or innocence last week. I'm still unclear as to whether or not the recording was, in fact, available to the jury when they deliberated over the verdict, because that certainly could be a problem. The State did find and disclose, after a lengthy examination of the evidence, that approximately one minute of unadmitted tape was played during the aggravation phase. They have argued that the information in it was cumulative and was only played to prove the aggravating factor of pecuniary gain which the jury did not find. They claim the error was both inadvertent and harmless as it did not prejudice the verdict or lead to a finding of that aggravator. We will have to wait and see whether or not Judge Darrow thinks it's irreparably damaged the trial. I always read Mark Duncan's reporting with a jaundiced eye. In the article in question, for instance, Duncan wrote that the defense had won a victory after Ray was found guilty of three counts of the aggravating factor of emotional harm to the families of the victims. His point? Ray can only get a maximum of nine years as opposed to the eleven and a quarter that he would have had the jury agreed on a second aggravating factor. Now, I can't fault Duncan for the completely incorrect nature of the headline. Reporters rarely write their own headlines. That said, Ray's possible sentence didn't "shrink" after the aggravation hearing. It grew. The prosecution proved one of the aggravating factors which means a higher maximum sentence than if they'd proved none. So Ray was actually in a worse position after the aggravation hearing than before it. How is that a victory for the defense? After reading Duncan's reporting throughout this trial, I'm fairly convinced that he was acting more as Tom Kelly's stenographer than as a reporter. I say that in part because Tom Kelly may have violated the court's gag order during the trial when he gave an on the record statement to none other than Duncan. In that article, Duncan notes that Sheila Polk refused to comment. I bring it up because if there's one thing I know as a former publicist, it's that reporters will sell their souls for access to valuable sources. The source that gives it up to the media can wield disproportionate power over reporting. I think there were a lot of reasons for the media bias towards James Ray and I've discussed a few of them but the issue of access also deserves mentioning. In retrospect I think In Session's total whoredom for the defense in this case may have been due in no small part to the fact that they will be far more likely to need access to the very powerful California firm that represented James Ray -- Munger, Tolles, & Olson -- than the Yavapai County DA's office. The best reporting on yesterday's proceedings was from photojournalist Andrew R. Patterson on Twitter. One bit of business he posted that I'm truly sorry I did not get to see was the State's enumeration of errors made by the defense team during trial. The burden of a fair trial always lies with the prosecution and that's a very good thing for this defense team. The State made mistakes but they did manage to get through months of trial without, for instance, publicly posting the addresses and phone numbers of every person who ever attended Spiritual Warrior since 2003. I don't know what defense errors photojournalist Patterson is referring to in his tweet but there were some doozies. So if a pattern of error truly equals misconduct, the defense team should be appearing before the bar. 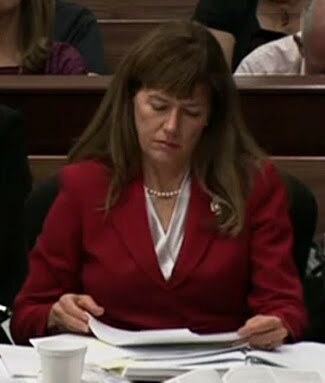 Patterson also described the defense as looking "somber" as the State rebutted all 31 points of the new trial motion. His surmise is that the new trial motion is really about laying the groundwork for the appeal process; something he reports they admitted yesterday. If he's not granted a new trial, Ray will undoubtedly appeal his conviction and most likely over the Richard Haddow email which resulted in a Brady violation. Judge Darrow did not rule for a mistrial and attempted to cure the error by allowing the defense team time to bring in either Haddow himself or another expert to testify. The defense elected not to do so, which the State argues convincingly negates any arguments of prejudice. Background on the Haddow email fiasco can be found in multiple blog entries on the subject. As ever, I think the defense is relying on strident rhetoric as they cast a handful of procedural errors and disagreements over interpretation of law as a pattern of misconduct. The State characterized the defense's argument as a logical fallacy of "proof by repeated assertion" which is a fancy way of saying that saying the same thing over and over again doesn't make it true. I like Judge Darrow and I think that when it comes down to it, he'll base his decision not on the defense's inflammatory rhetoric but on whether or not that one minute clip caused prejudice. Throughout the trial I think he did an admirable job of separating the law from the bombast in the defense's arguments. 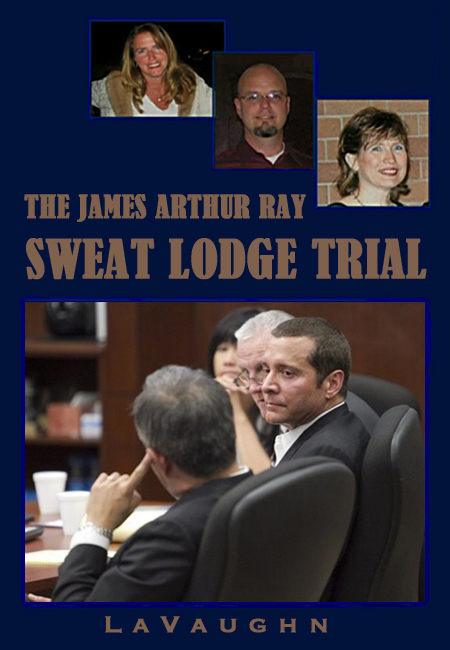 And if he does grant a new trial, all I can say is be careful what you wish for, James Ray. Because if the State retries this case they won't make the same mistakes twice and the defense never had anything but a mistrial strategy.